Harrah’s Cherokee Casino Resort, located in scenic Cherokee, North Carolina, is rapidly gaining a reputation as one of the premier poker destinations in the South. The property opened its doors in 1997 with video gaming machines and has grown into a total resort destination offering over 3,000 slots and more than 150 table games, restaurants, headliner entertainment, shopping, nearby golf, a luxurious spa, nightlife and more. This gorgeous property is one of two casinos in North Carolina, owned by the Eastern Band of Cherokee Indians and managed by Caesar’s Entertainment. The second smaller property, Harrah’s Cherokee Valley River Casino & Hotel is located in Murphy, NC. 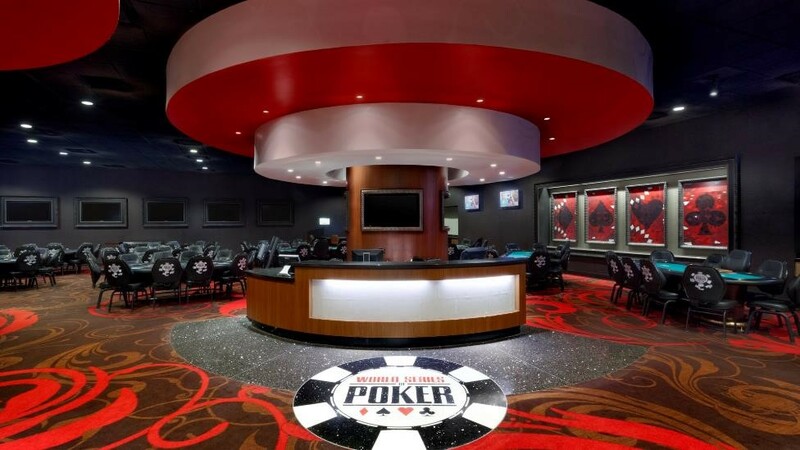 While there are many different games and amenities offered at the resort in Cherokee, a jewel of the property is their world-class WSOP poker event. The property has 1,001 luxury rooms and 107 suites which makes this resort the largest hotel in the state of North Carolina. 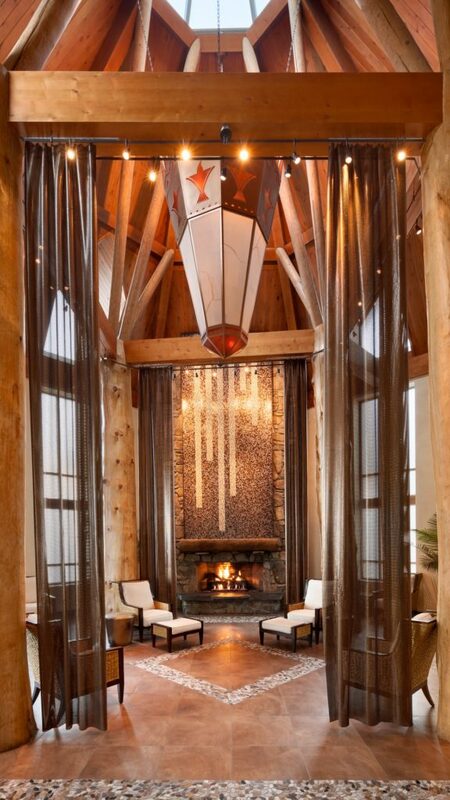 The three hotel towers offer views of the awe-inspiring Great Smoky Mountains. The hotel offers a 24-hour fitness room, an indoor pool and an outdoor zero entry pool with a festive cabana/bar area for get-togethers and casual drinks. On the grounds of the resort, there is a 21,000 square foot conference center with meeting space which can be broken down into smaller configurations. There is a place for every taste with multiple restaurants on the property including Chefs Stage Buffet, BRIO Tuscan Grille, Ruth’s Chris Steakhouse, Selu Garden Café, the Noodle Bar and a food court. There are also additional amenities including shopping for everything from that little black dress to men’s clothing to golf clubs and more. Mandara Spa is also located in the hotel which makes it easy to get to to unwind and relax. 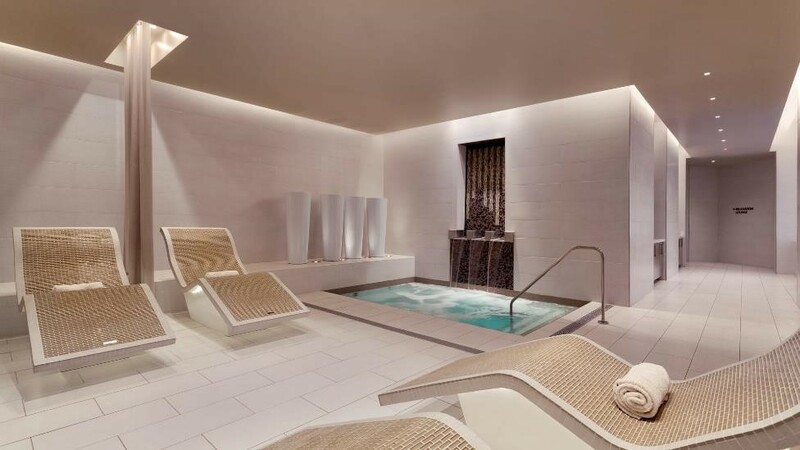 If you are looking for the ultimate in relaxation and therapeutic luxury then visit Mandara Spa. The 3000 seat Event Center is the perfect place to see a show with some of the hottest acts from classic rock to country and comedy. The WSOP event is also held in the Harrah’s Cherokee Event Center. Nearby Sequoyah National Golf Club is an 18-hole, par 72 championship golf course set against the backdrop of the beautiful Smoky Mountains. While alcoholic beverages were not initially allowed to be consumed on the grounds of the casino, this restriction was lifted in 2009. Harrah’s Cherokee Casino Resort offers many of the same amenities and services one can find at a Vegas casino. This makes sense since Caesar’s Entertainment is one of the biggest names in the casino gaming industry. On June 26 of this year ground was broke on their newest expansion. The $250 million project will add 83,000 square feet of meeting space, a parking garage and over 700 hotel rooms to the already spectacular resort. This is expected to be open in early 2021. The resort is located in Cherokee, North Carolina in the heart of the Great Smoky Mountains. Transportation to the casino, including coaches and charter buses, can be found in some major metro areas in North Carolina and surrounding states. Buses come from cities like Charlotte, Winston-Salem, Asheville and other large and small metro areas in the surrounding regions. While you can find transportation if you don’t wish to drive, this is a very easy and beautiful drive from any direction and is just 2 ½ hours from N. Atlanta and Charlotte. This casino is one of only two casinos in North Carolina, and as such sees a substantial amount of traffic from local and not so local visitors. The sprawling 150,000 sq. ft. casino offers over 3,000 slot machines, traditional table games including Blackjack, Roulette, Craps, Mini-Baccarat, Poker plus a High Limit area and Tobacco-free area. The property also has a spectacular Asian gaming room called “Le Fu Men” featuring a moon gate entry which is adjacent to the Noodle Bar. The entry to the casino at the Rotunda features eight, 75-foot tall, internally LED-lit trees; a 140-foot long LED screen; twin 75-foot operable waterfalls; and a state-of-the-art audio and video system to create a truly dramatic arrival experience. The gaming offerings at Harrah’s Cherokee include the state-of-the-art poker room. This facility was built with events like the World Series of Poker in mind. There are both live games and tournaments available at the poker room. There are twenty tables available at any given time, and the entire room is tobacco and smoke-free. The World Series of Poker has hosted events at Harrah’s Cherokee since 2011, and live cash play has been available since 2013. In 2015 the WSOP Global Casino Championship began to be held on-site. This event is televised and streamed online and is incredibly popular due to the prize and a chance to win an official WSOP bracelet. The upcoming WSOP Circuit Event is one of the yearly highlights available at the Resort. This event runs for a week and a half from November 22 to December 3, 2018. This year there will be over $2.5 million in guaranteed prize money available for players to win. No Limit Hold’em and Pot Limit Omaha will be played during the event at a range of stakes from 75 dollars all the way up to 1700 dollars. Two qualifiers will win seats into the 2019 WSOP Global Casino Championship. This spacious lounge is the perfect place to meet. They offer weekly drink specials and bar-top games. Essence is also the ideal place to catch the big game with 33 LCD-screen TV’s, a 13-foot over-the-stage projector, and concert-quality audio. The full bar service includes a comprehensive wine list, a full complement of premium liquors and specialty cocktails, as well as domestic, imported and local craft beers. The newest addition at Harrah’s Cherokee is much more than just 24 bowling lanes. The first floor features 16 lanes, an arcade with the hottest video and prize games, and Sound Bytes: a full-service restaurant and lounge with free entertainment on select nights. The second floor offers 8 more bowling lanes, sunset patio dining, and Strikes Lounge: a walk up bar for guests 21 and older. If you like the outdoor and like to fish, Cherokee offers 30 miles of some of the finest brook, rainbow and brown trout fishing found anywhere in the U.S.
A must visit while in Cherokee is Mingo Falls. At 120 feet tall, Mingo Falls is one of the tallest and most spectacular in the Southern Appalachians. Take a walk thru time at the Museum of the Cherokee Indian. And, be sure to stop by Qualla Arts and Crafts Mutual for traditional arts and crafts of the Eastern Band of Cherokee Indians. While there are numerous other amenities and activities available at this resort, the primary draw is the excellent gaming and poker facilities available here. There is no better destination for gaming. Whether you are a poker pro, slots fanatic or blackjack enthusiast- Harrah’s Cherokee Casino Resort has you covered. Remember to check out the Nov 22 to Dec 3 World Series of Poker Event, live at Harrah’s Cherokee Casino Resort. For reservations, visit Caesars.com/harrahs-cherokee or call 1-828-497-7777.